Tweet And Earn Review -Is paidpertweet.com a Scam? You are here: Home / Make money Online / Tweet And Earn Review -Is paidpertweet.com a Scam? Tweet and earn is another way to make passive income from online. There is so many website are now offering such jobs but paidpertweet.com is most popular website for tweeting jobs. So today we are going to discuss the pros and cons of paidpertweet.com. 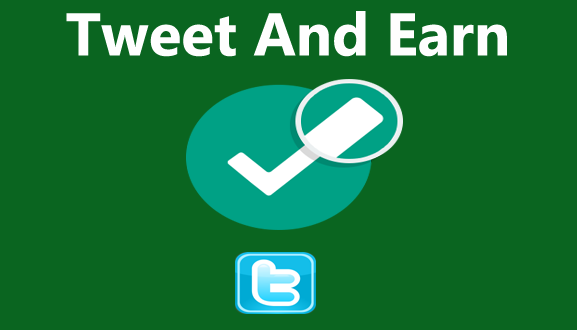 As well as everything you need to know about tweet and earn in India. Do continue reading to increases your knowledge hub. What is Tweet and earn jobs? 100 million users posting 340 million tweets a day, so it’s good way to get started any business promotion through twitter and earns money. After joining into paidpertweet.com you will be proved a 160 character Tweet telling about business promotion, at the end of the tweet there will be shorted URL and a # tag to increases the Brand SEO Scores on Search Engine. After tweeting you have to share your tweet URL to paidpertweet.com in order to get paid. You earning is deepening on how much tweet are you affiliating and the number of follower are present into your twitter account. Well you probably wondering that tweet and earn job is limited to the popular start of twitter, at-list you must have to be 10,000 and more follower into your twitter account. Make sure you are loyal twitter and people get interested more by days pass. Why you are not eligibility to do this paid per tweet jobs? You must have a blog or strong social activity to grab new follower into your twitter account. I recommend getting at-list 1000-10,000 twitter followers for maximum coverage for your advertising. Be loyal to your follower; make sure people trust what you are saying. Make your follower busy by sharing the read more URL (redirecting to your blog or a website), at the end don’t forgot the # tag. Give a visual break, in a month share some jokes and entertaining your follower by tweeting about what you are doing on Facebook and YouTube. How much money I earn by doing tweet and earn jobs? You can easily earn $25-$100 by tweeting 1-5 tweets per day. Hence time does not matter here, the only thing is matter how many follower you have to receive your tweet. If want to found by lot of people on twitter better to increase your online reputation and help paidpertweet.com to find the niche of your follower so that they can find what you follower looking for. You may provide you blog URL by letting know paidpertweet.com how people take interested to follow into your twitter. Paid per tweet review is it a scam in India? Real Data Jobs and virtualofficejob.com (Virtual Office Jobs) from India are now offer such tweet and earn but actually they are scam. Some of website offer 10 Minute Job Work that is actually a tweet and earn jobs. So if you want to start such job from India better to avoid India jobs portal and get started free account in paidpertweet.com. Thanks to – Wikipedia.org , Do comment and share it to your friends and family. There are websites who ask money to pay an then get registration details.Friends I advise you you’ve come here to earn and not to lose. You need help as you can’t give to no one.So beware and careful and don’t go for such fake cheaters and feel happy.